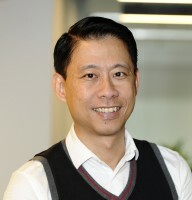 Venture Liang is Vice President, Communications, Asia Pacific. He joined Mastercard in 2007 and is responsible for the development and execution of multi-channel regional communications strategies which amplify the value Mastercard delivers to consumers, merchants, governments and partners. His areas of focus include external influencer relations ranging from traditional, social and online media engagement.